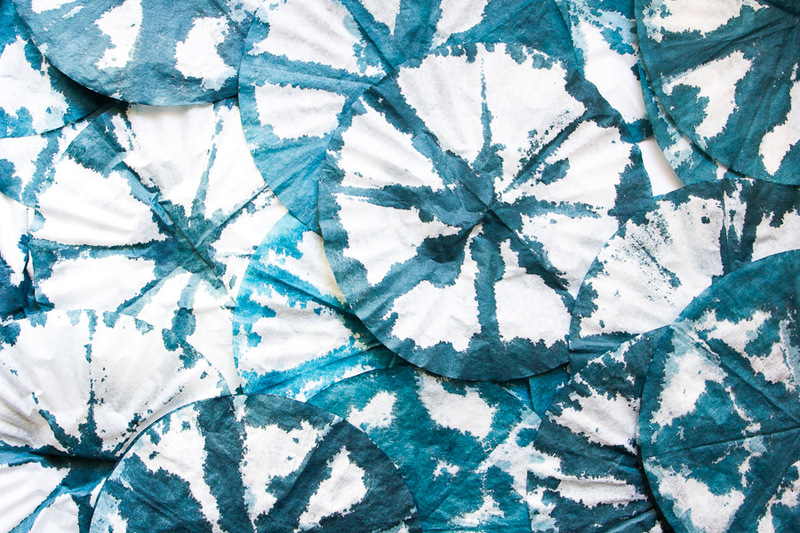 We are bringing a burst of shibori to the party with these DIY Shibori Poufs. Unlike Jacinda, I don’t exactly have a knack for painting with watercolor, so this project was perfectly forgiving. 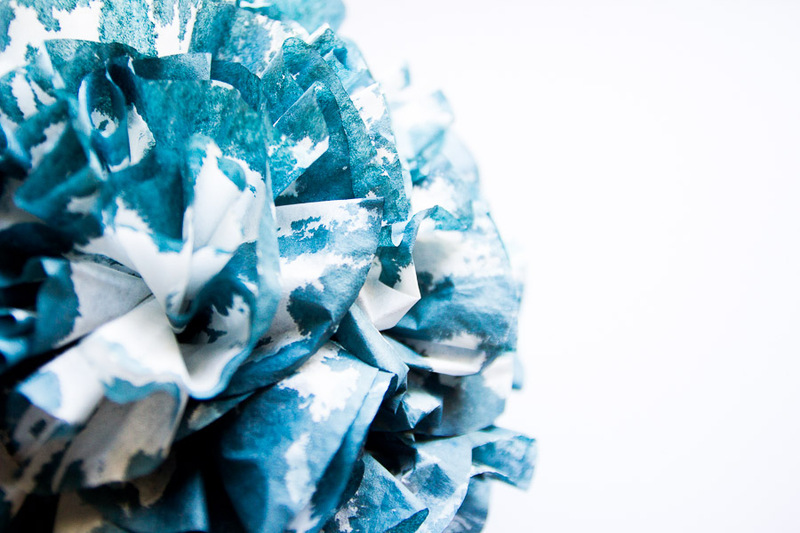 You can use these poufs to decorate for parties and to brighten up your home. Right now I have mine hanging over my office space. 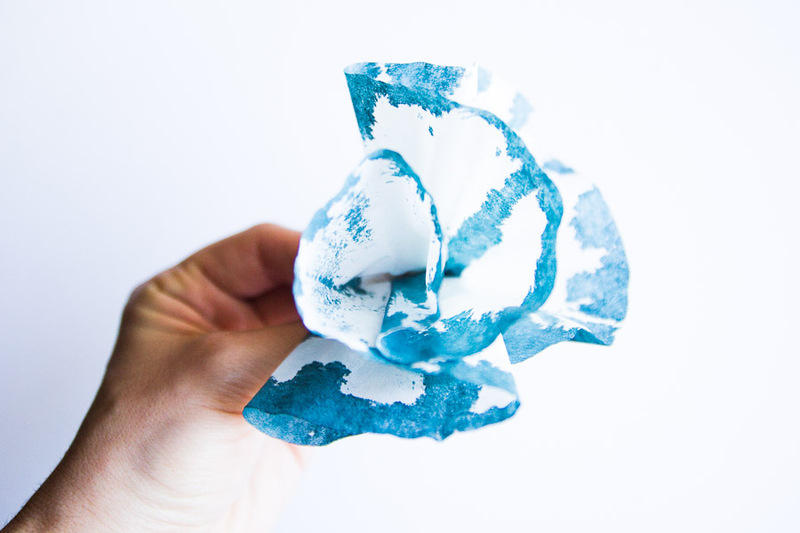 Grab a handful of coffee filters and let’s get started! 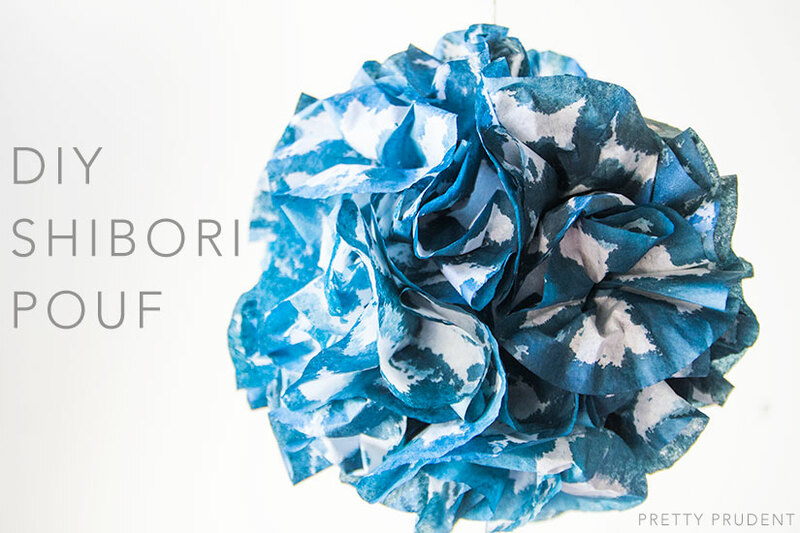 If you are as addicted to shibori as we are, check out our DIY Shibori Hand Warmers for Valentine’s Day and our Inspired by Indigo post. 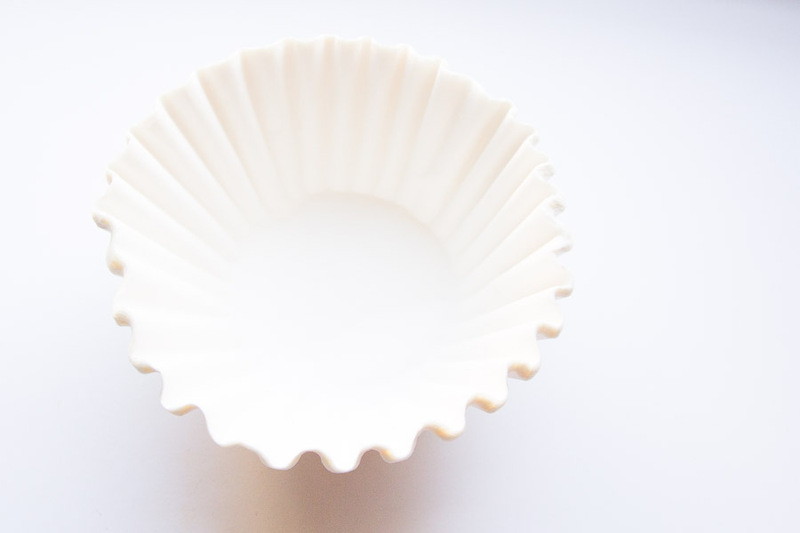 Pick up a package of coffee filters. 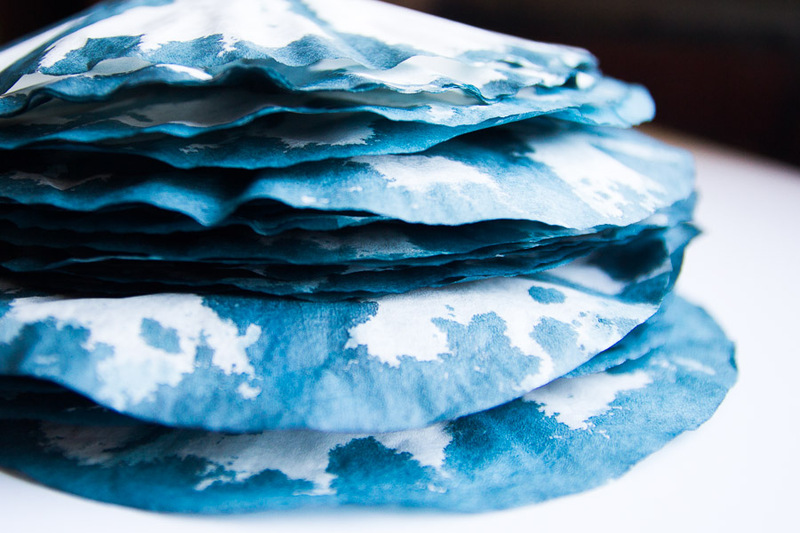 Fold the coffee filters in quarters and paint the edges with indigo watercolor. 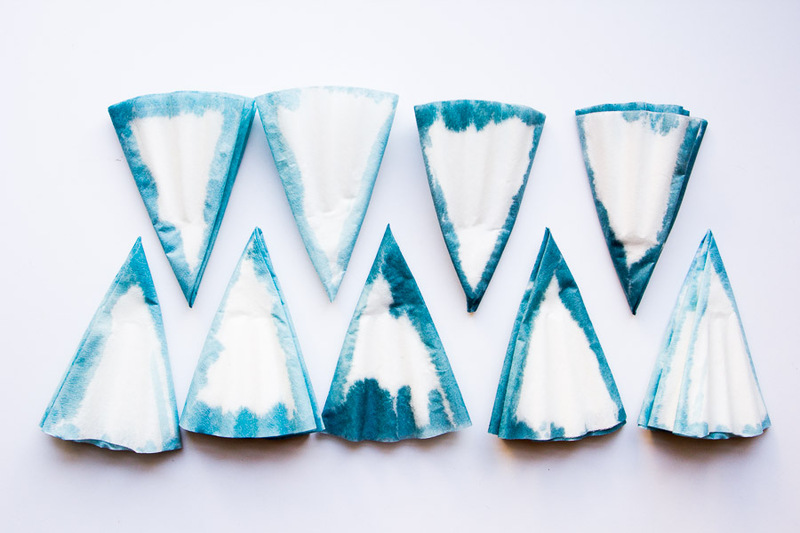 If you want you can also just paint the outside edges to keep more white showing. Wait for them all to dry. 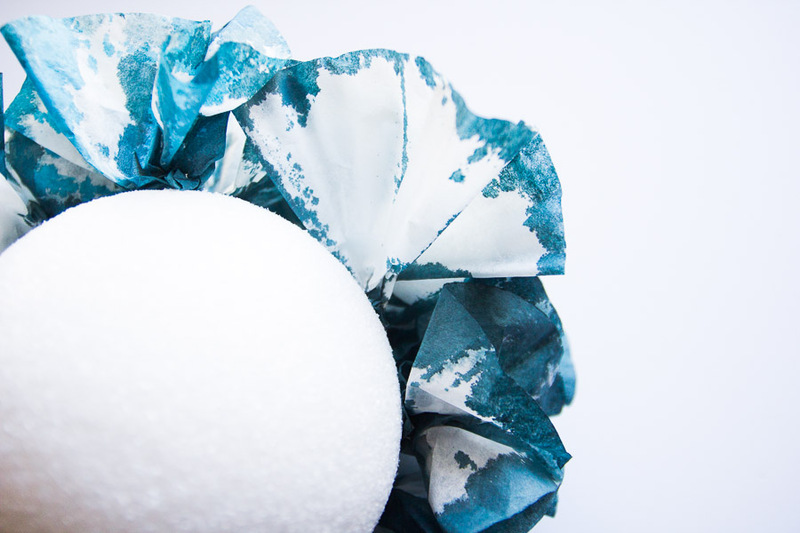 Now you will need a styrofoam ball and pins. 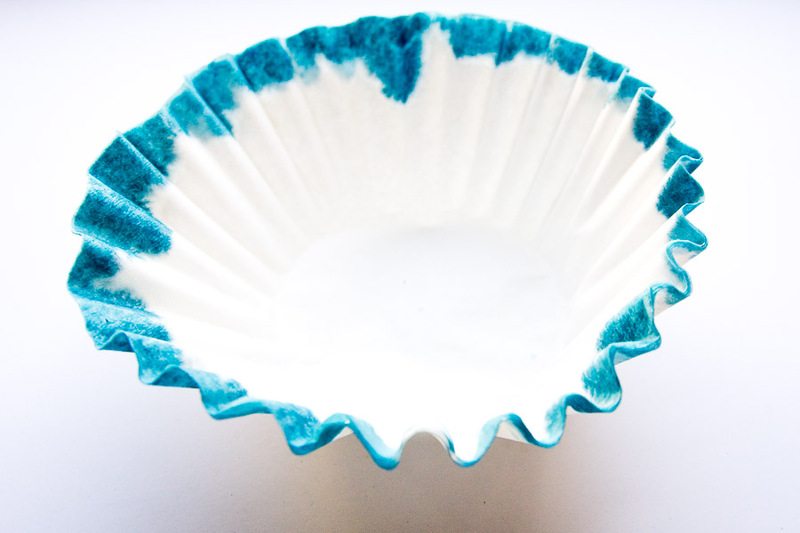 Pin the coffee filters to the styrofoam ball at the bottom of where you have scrunched it. 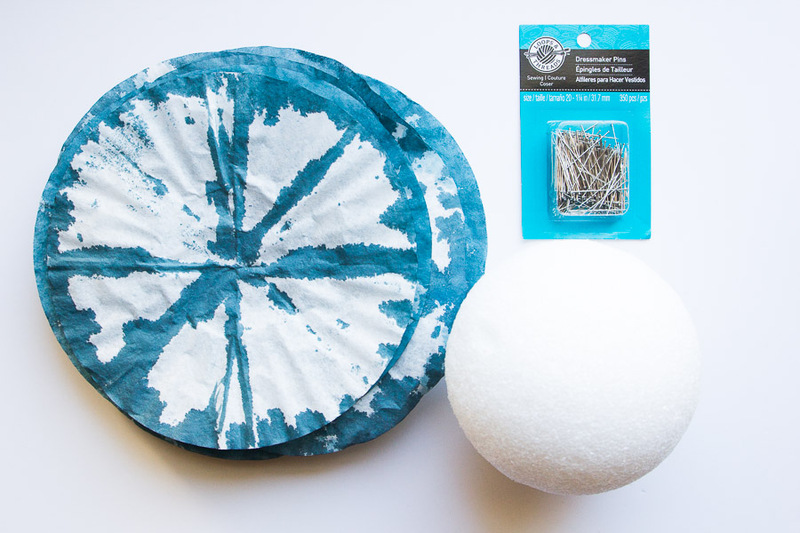 Once you’re complete, pin a piece of jute twine or any type of string to the top of the pouf and hang.